People may not realize just how important early orthodontic treatment in children actually is. 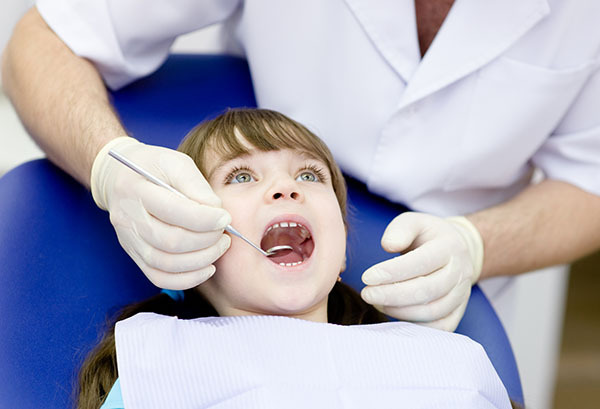 If a child is having any issues with their teeth growing in, then it is crucial to seek treatment as soon as possible. Orthodontics is a branch of dentistry that specializes in treating irregularities in the teeth, with braces being one of the more common orthodontic treatments. Orthodontic dentistry also specializes in treating patients who are experiencing any jaw problems, such as misalignments. Since children and teens have special dentistry needs, there are orthodontists who specialize in pediatric orthodontics. The reason why early orthodontic treatment in children is important is that early treatment can help correct any teeth or jaw issues a child has before they become worse. In many cases, early orthodontic treatment can make it so that a child does not have to undergo unnecessary dental work while growing up. Early treatment can help prevent the need for tooth extractions and surgery later in life. According to the American Association of Orthodontists (AAO), parents should schedule an orthodontic checkup for their child by the age of seven. This is the age where an orthodontist will be able to detect any issues or signs of future issues in the child. If we find any such issues during a consultation, we will provide the treatment or set up a plan for future treatment. Cosmetic dentistry for children is an option and includes some of the more common, minimally invasive options that can help to improve their overall smile. When a dental professional decides to specialize in providing cosmetic dentistry services for children, their main focus is on healthy tooth structure. Since every case is different when a parent believes the child is in need of cosmetic dentistry services, an appointment is necessary for individual treatment advice. While teeth whitening is an option for kids, there are a few general guidelines most dental professionals follow when parents or children are interested in teeth whitening procedures. Teeth whitening options for baby teeth are often not recommended due to the fact that they are temporary and will soon fall out to make room for their permanent teeth. Teeth whitening options for teens are available and often involve using the same teeth whitening options as adults that include teeth whitening trays, teeth whitening toothpaste or teeth whitening strips. Since there is not a lot of research on the effectiveness and health risks of teeth whitening for teens, it is crucial to make an appointment with a dental professional before seeking any kind of treatment. The benefit that comes with teeth whitening is whiter teeth, which makes for a healthy mouth and a really great smile. If we find that braces are necessary for the child’s teeth, we will often recommend that children are ready for braces anywhere between the ages of eight and 14. Since children are young and still working on their self-esteem and confidence, clear braces are often popular choices. Clear braces are an especially great option for children who have crooked teeth or an overbite. However, we do not recommend clear braces for younger children since they require a higher level of responsibility. The process for clear braces is the same as regular braces except that they use clear and/or tooth-colored materials. Thus, clear braces become less noticeable by blending in with the teeth. Benefits that come with having clear braces include straighter teeth, which equals a healthy mouth. Using a dental sealant for kids is often recommended since it can help protect the teeth from decay by covering the entire tooth with a protective coating. This barrier is able to protect the teeth from decay. This barrier is important for children since they do not always floss and brush their teeth properly. The process only takes a few minutes to seal each tooth, with the majority of kids not needing another application. In fact, dental sealants tend to last for several years. Since dental sealants are able to protect teeth from decay and plaque, choosing a dental sealant for kids is in the interest of a child’s oral health. We understand how difficult it can be to get children to the dentist and have them sit still. Fortunately, dental sealants are an effective way to continue protecting a child’s teeth for years after. Dental bonding for kids is an effective way to repair any teeth that sustain damage from a foreign object colliding with the mouth or from decay. Tooth decay can lead to a number of additional oral health issues, making it necessary to remove the decay. When parents choose dental bonding for their child’s teeth, we will remove the decay and restore the tooth using this bonding material. Dental bonding strengthens the tooth while also blending in with the surrounding teeth. This way, other people will not be able to notice the bonding material easily. For more information on our services or to schedule an appointment, give us a call. If you would like to learn more about Early Orthodontic Treatment and the various treatments we provide, call 832-246-7255 to schedule a consultation.